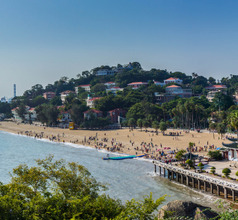 A seaside city full best known for the fabulous Gulangyu Island. 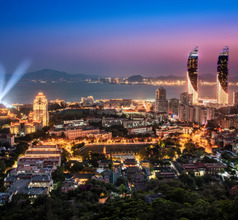 The beautiful beaches and islands, the old-world charm, and the modern urbanization have collectively made Xiamen City one of the most popular tourist destinations of China. 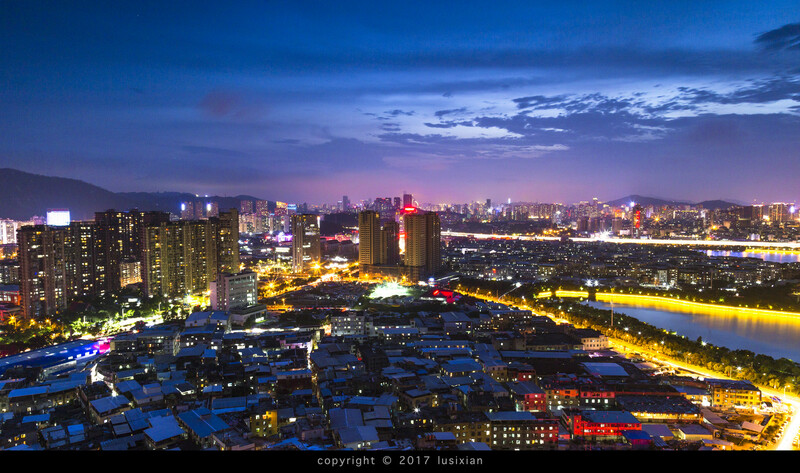 Located in the Fujian Province, this self-governed harbor city has always been and still is a prosperous commercial zone and a tourist haven. As the local and immigrant population has made a determined effort to maintain the environment and ecosystems in the sea waters and on land, the city is considered one of the top “most-livable” cities in China. 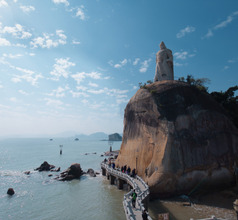 Xiamen City has several small islands under its jurisdiction and there is a convenient ferry system to go island hopping. The city has a rich ancient culture which can be seen in the architecture of temples and homes. The most famous architectural marvel near Xiamen is the UNESCO World Heritage Site of the Yongding Earthen Hakka Homes. 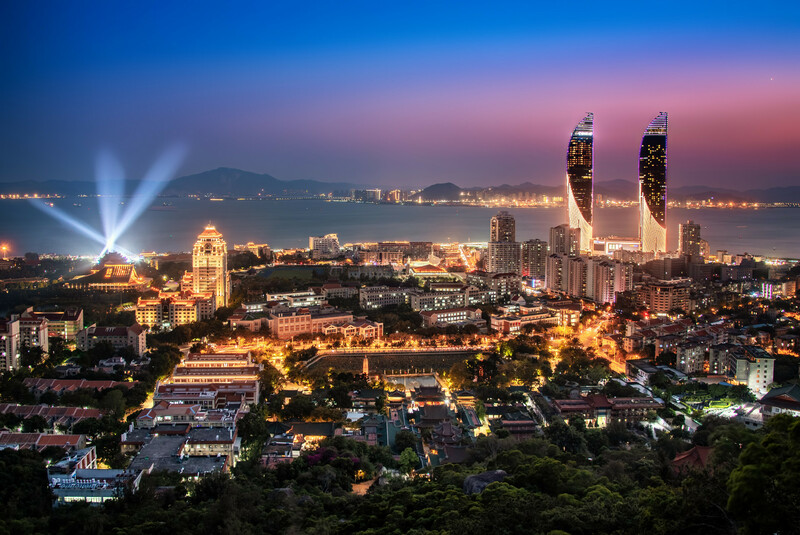 With foreigners stepping on the shores of Xiamen for business since ancient times, the city has a friendly and welcoming attitude towards people from all parts of the world. Xiamen City has many well-established industries besides tourism and hospitality. The local silk is considered to be of very fine quality. Xiamen has many shopping centers where one can get top-quality Chinese silk. 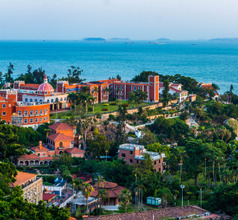 The city’s proximity to the Gulang Yu Island with its old colonial architecture and aesthetically landscaped parks is another reason why Xiamen is a much-visited destination. 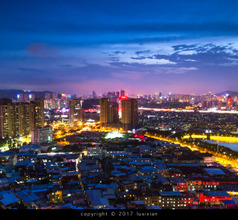 Initially called Tongan, the city of Xiamen was established in the 3rd century AD. Its economic development was rapid and in the Middle Age it had become a very important shopping zone in China. When the silk factories were set up in the 16th century it came on the global map as a popular shopping destination. Ever since the city has never had a recessional phase. It continued prospering due to its booming tourism, silk production, and other industries. 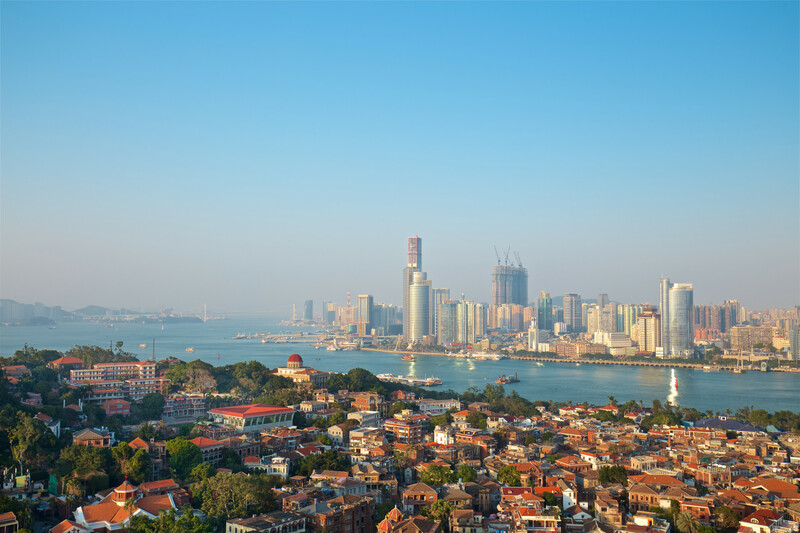 Today’s Xiamen City is a blend of traditional culture and modern infrastructure. It is a great place for family vacations where one can enjoy visiting different types of tourist attractions and entertainment zones. The city also has a large number of Western and Chinese restaurants as well as modern bars and lounges where solo travelers as well as groups hang-out in the evenings. 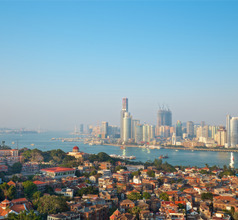 Xiamen City has been and still is a very popular tourist destination in China. The 5-star seaside luxury villas are where most overseas visitors prefer to stay. The villas come with a gamut of amenities like in-house restaurants serving western-style gourmet meals, 24x7 housekeeping, coffee shops, airport shuttle service, in-room dining, swimming pools, and more. The city also has countless budget hotels, inns, guesthouses, youth hostels, and service-apartments. The staff in most of the hotels knows English but it is always good to download a voice-based translation app or carry a suitable dictionary. 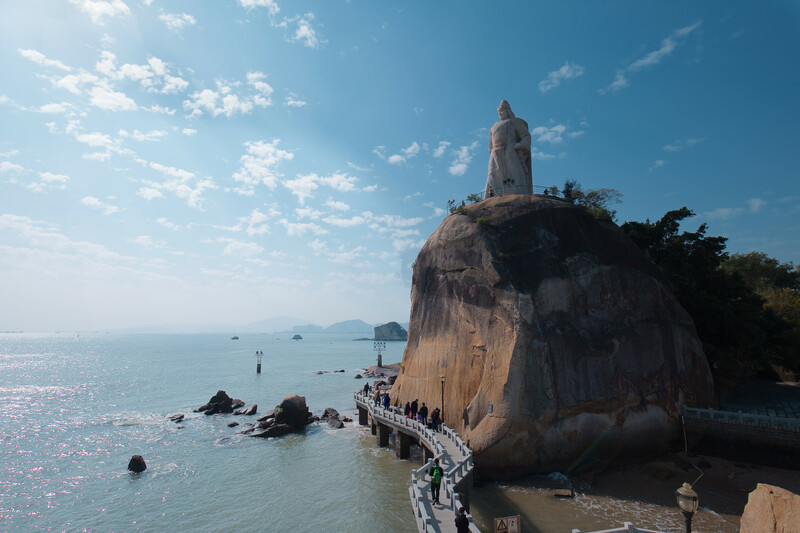 Xiamen City’s most relaxing promenade is the Island Ring Road near the Nanputuo Temple. Called Huan Dao, this road is a great place to enjoy sea breezes and sunsets. This is the road where one can find both locals and visitors taking leisurely walks along the wooden path or hiring a bicycle to explore the city’s treasures. 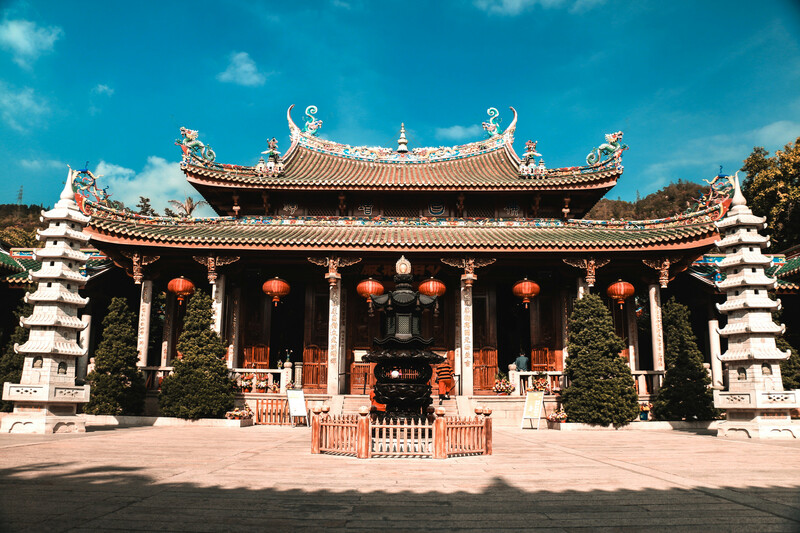 The most magnificent tourist attraction in Xiamen is the Nanputuo Temple (aka South Putuo Temple). The temple complex is located on a hill and is spread over a vast area of 30,000 square meters. 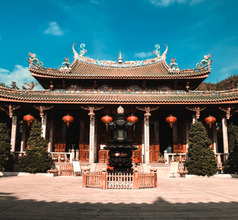 The temple consists of impressive statues of the Maitreya Buddha (Laughing Buddha, a symbol of tolerance), Guanyin or the Goddess of Mercy (a female manifestation of the Buddha), other Buddhist statues, countless ancient inscriptions, colorful murals, and other precious artifacts. Island hopping is another pleasurable tourist activity in Xiamen. Each island has its own special tourist attractions and interesting activities. 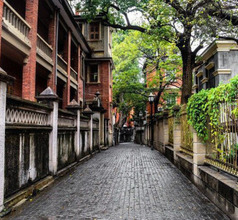 Gulangyu Island is just 10-minutes away by ferry and is a great place to visit. The island is dotted with old colonial style mansions which are reminders of the first International settlements in the 18th century. Wealthy European industrialists and businessmen have built luxury villas on the island that have remained in a well-preserved condition. The island also has a museum with an awesome collection of old pianos and organs. 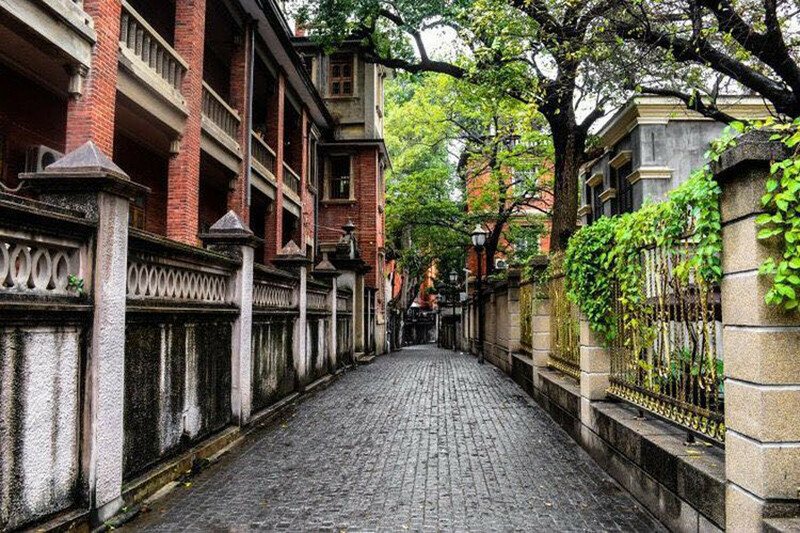 As the island is covered with dense forests, picturesque scenery is another reason why Gulangyu Island is so popular with tourists. About 200Kms from Xiamen City is the UNESCO World Heritage Site of the Yongding Tulou. This amazing ancient structure is a massive walled earthen home of the Hakka people of Fujian Province. The multi-storied tulou is built in concentric circles and is like a walled city where all the members of one clan live under one roof. For those who have an adventurous spirit, the Wuyi Mountains Scenic Area is definitely a must-see. The Xiamen subway (Xiamen Across Mass Transit Railway) is a urban rail transit system for Xiamen, Fujian, China. It is spoken in three languages, in Mandarin, Minnan, and English. Its first line opened for trial operation in  in December 31, 2017. Xiamen has become the thirty-first Metro City in mainland China. The planning of Xiamen urban rail transit network in 2020 is composed of 6 lines, with a total length of about 267 kilometers, with 139 stations and 18 transfer stations. Xiamen North Station is located around 10km to the north of Xiamen Island and serves mainly high-speed trains. It can be access via Metro Line 1. Located in the main island, this railway station serves both high-speed and low-speed lines, although more and more services are being shifted to the newer Xiamen North Station. It's advantage is that it's right in the city center, however is it also a dead-end station, meaning that trains cannot continue on to other cities. Xiamen Gaoqi International Airport is 10kms from downtown, has smooth operations, flights to 12 foreign places and many local ones but closes at night. A free shuttle runs between terminals 3 (international) and 4 (domestic). Passengers can take airport shuttles for RMB6-35 to go all over town and nearby cities. A cab downtown takes 20 minutes (around RMB40). City buses do the job for RMB1 and No.37 runs till late while BRT LineL19 is faster. Xiamen City is well-known for its mouthwatering meals and snacks. There is so much variety in their local cuisine that it may prove difficult to try out all their dishes in one vacation! Being a harbor city, seafood plays a very prominent role in their cuisine. Their food is generally crisp, light, fresh, and a little spicy, but not as hot as the cuisine of Sichuan Province. Some of the food specialties of Xiamen City are Xianbing (stuffed crepes), deep-fried dumplings stuffed with tofu, steamed stuffed buns, satay noodles (served with pork, mushrooms, and bean sprouts), omelet stuffed with oysters (a finger-licking delicacy), fish ball soup, peanut soup, rice dumplings stuffed with meat, etc. Xiamen’s weather is characterized by long, hot, and humid summers and short, mild, and dry winters. The warmest month is usually July, and the coolest is January.